I’ve loved fantasy since my earliest childhood days of hearing stories read aloud. Growing up I lived on The Wind in the Willows, Godzilla, Norse mythology, science fiction, Frankenstein and the folklore of many cultures. In college, I discovered Tolkien, The Odyssey, C.S. Lewis, as well as Jung and Campbell, who served as guides to the often trackless realms of the other worlds. If you follow fantasy literature for any length of time, you notice that authors who bring forth new visions are often followed by scores of knockoffs by writers looking for bandwagons to ride. Neil Gaiman is an exception to that rule; he sows his unique personal visions across traditional genres in a manner that can’t be imitated. How would you follow the Hugo and Nebula award winning American Gods, 2001, a dark, modern day Iliad that pits old gods like Mr. Wednesday (Odin) against new deities like Media, the goddess of television? A year later, Gaiman published Coraline, sometimes compared to Alice in Wonderland for its unflinching look at the terrors of childhood and winner of Hugo and Nebula awards for best novella. 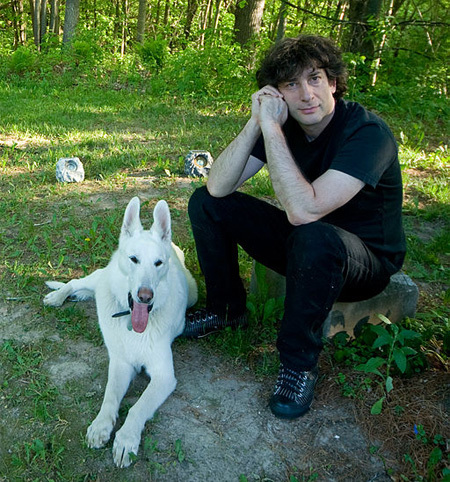 In June, Gaiman released The Ocean at the End of the Lane, which he called “the most serious, dark, weird and personal thing I’ve ever written” in an interview called “The Illusionist” in the June 24, 2013, issue of Time. Illusionist is the only possible title for the creator of Ocean, which began as a short story and grew. You reach the end of a nail biting ride with a man recalling a summer of terror and beauty that happened (or probably happened) when he was seven, and you realize that although you have been in his head and his heart for 180 pages, you don’t even know his name. You know the name of Lettie Hempstock, who lives at the end of the lane, an 11 year old girl who claims that her duck pond is really an ocean. You know Lettie’s name, but you don’t know what she is, and when you ask how long she has been 11, she gives you a smile but no answer. One of Gaiman’s numerous strengths is his ability to remember “extremes of horror and ecstasy that children experience.” He read books as a child and realized the adult writers had forgotten. He vowed not to, and The Ocean at the End of Lane proves that he has not. This entry was posted in Authors, Book Reviews, Books, Fantasy and tagged authors, book reviews, books, fantasy. Bookmark the permalink. Really enjoyed this story – listened to the whole thing read by Neil himself on Audible. Wish there was more of it, but it’s great as it stands. Very good to know – I’ve been tempted by the Audible edition, given that he is the reader, so I’m glad you enjoyed it. Thanks! This one is high on my TBR list and now will notch up a few more places, thanks to your review. Thanks for telling me about it. I’d read the review in Time when it came out and then forgot about this book until we spotted it at a bookstore in Oregon at 20% off. Read it aloud on the way back which made the miles fly by. There are parts of it I know I will have to read again. I’m glad that you enjoyed the book, but even with your review I don’t think I’ll be picking this one up. I’ve read several of his books and Gaiman just doesn’t do it for me. I did really enjoy the movie adaptation of Coraline, and he is also one of the writers of the movie Mirrormask, which is one of the most visually interesting movies that I’ve ever seen and had a solid story behind it as well. There are too many books to spend time with ones that don’t turn you on! There was a 2007 movie version of Stardust which I missed at the time and may look for on Netflix. The Time article also said Gaiman is working on an HBO series version of American Gods while he is writing a sequel, so the guy is certainly busy! I think that a series of American Gods could be interesting depending on how they go about it. If they try to do something like A Game of Thrones and tell the story of the novel over the course of a season, I don’t think I’d enjoy it. But if they did a more episodic week by week type of storytelling (perhaps something similar to X-files) I think it could be interesting. To me the best parts of American Gods were the short interludes that dealt with the very minor deities, so something that dealt with those would be very interesting to me. Thanks. There are worse things to be tempted by! In the mood for some more Gaiman after recently enjoying Good Omens (http://wp.me/s2oNj1-omen) and before that The Graveyard Book (which I ought to review soon). But I still have American Gods waiting — it’s a conundrum! But being able to recapture childhood thought processes, that’s appealing. Your review has sorely tempted me! I’m not an absolute newcomer to Gaiman, having also read Stardust (my first), Neverwhere (reviewed on my blog), Smoke and Mirrors and Coraline and Other Stories (reviewed), but I’ve baulked at American Gods and Anansi Boys so far; no reason, except maybe length!